The music is more rhythmically and tonally diverse than an album of this style would have been all those years ago, but the band’s ability to craft compelling songs that alternate between being sorrowful, bleak and, beautiful as the song requires it, remains completely unchanged. October Tide do a great job of sounding like they’re of the here and now while keeping true to what people loved about them in the first place. The warmth of nostalgia and the desire to keep up with the times can both be harsh mistresses, but October Tide serve them both well, and the result is an abundantly satisfying album. 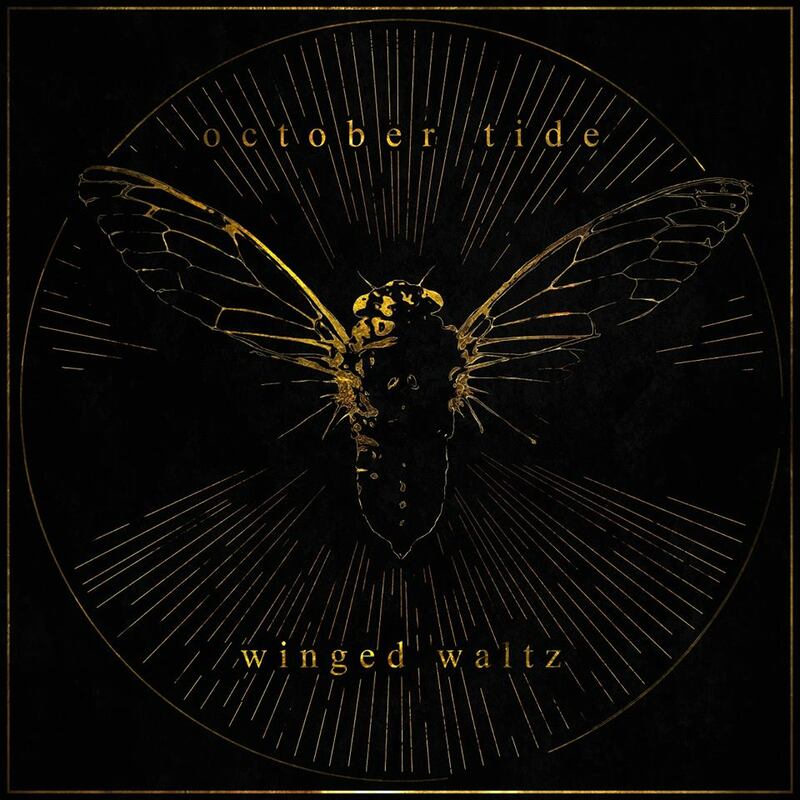 Nearly twenty years since the release of their debut album, ‘Rain Without End’, October Tide’s story continues in the form of their new album ‘Winged Waltz’. I say story, because in my mind October Tide offers something of an alternate timeline for Katatonia. The Katatonia we all know and love underwent some pretty big changes between 1996’s ‘Brave Murder Day’ and 1998’s ‘Discouraged Ones’. Jonas Renkse’s harsh vocals were abandoned completely, and the doom aspects of their sound were largely brought up to a steady mid tempo range, though they continued to sound every bit as depressed as before. It was clear that Katatonia was becoming the world's saddest rock band (in a good sense), and that doom metal was in their rear-view mirror. Amid Katatonia’s changes in sound, band members Fredrik Norrman and Renkse formed October Tide and recorded ‘Rain Without End’ in 1995, though it went unreleased until 1997. In a sense that album created a fork in the road, with October Tide representing a scenario in which Katatonia stayed on the path they were on through ‘Brave Murder Day’, whilst Katatonia themselves evolved into the band as we know them now. 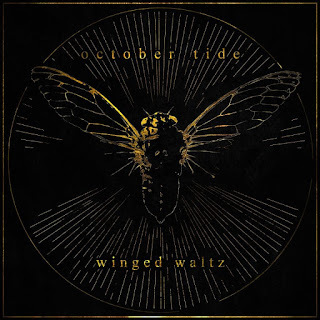 Now 20 years down the road, October Tide brings us ‘Winged Waltz’, a modern variant of that old 90s melodic doom death sound, managing to keep up with the best of the current crop of bands within a very specific niche, one they helped create in the first place. The music is more rhythmically and tonally diverse than an album of this style would have been all those years ago, but the band’s ability to craft compelling songs that alternate between being sorrowful, bleak and, beautiful as the song requires it, remains completely unchanged. On ‘Winged Waltz’, the songs tend to be built around a compositional dynamic of deep, heavy chords on the low end, given added life by bright, shimmering leads at the high end. That’s in contrast with that band’s earlier work, which kept those guitar harmonies closer together, like you’d hear on a classic Iron Maiden album, or to use a contemporary of this band as a reference point, My Dying Bride. Alexander Högbom’s vocal performance echoes the style of that early Katatonia/October Tide sound as well, his voice sharing a similar tone with Renkse, at least in how he uses it here. Whilst it’s always going to be difficult to match the rosy view of the past all long-time fans have, October Tide do a great job of sounding like they’re of the here and now while keeping true to what people loved about them in the first place. The warmth of nostalgia and the desire to keep up with the times can both be harsh mistresses, but October Tide serve them both well, and the result is an abundantly satisfying album. Pre-order a digital copy here, a CD copy here /LP copy here.